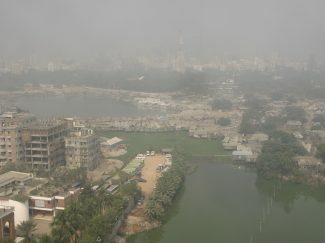 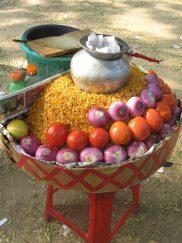 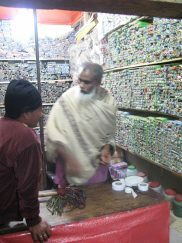 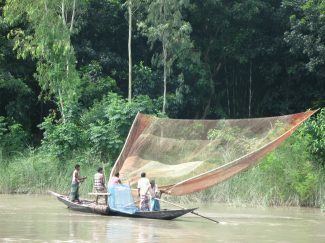 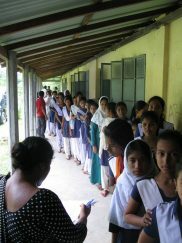 Bangladesh is a country with a population of approximately 160 million people, and more than 7000 registered dentists. 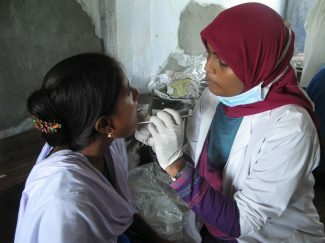 This means there is an average of one dentist per 22,800 people. As with most developing countries the majority of the dentists stay in large cities and towns, and the majority of the population lives rurally. 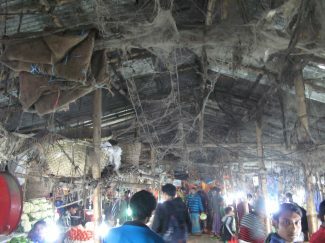 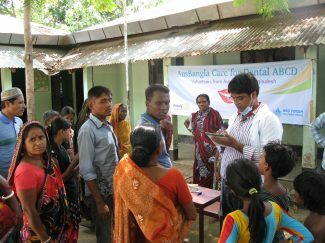 Rural villagers and urban slum dwellers struggle to access dental care. 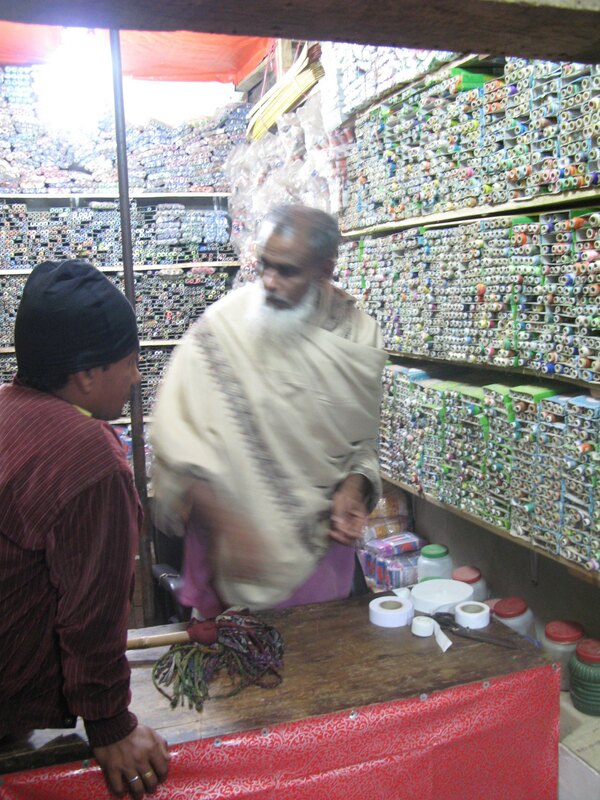 TT and Dr Nahid Sayma travelled to Bangladesh in January 2013 to lay the ground work for establishing a primary care dental program. 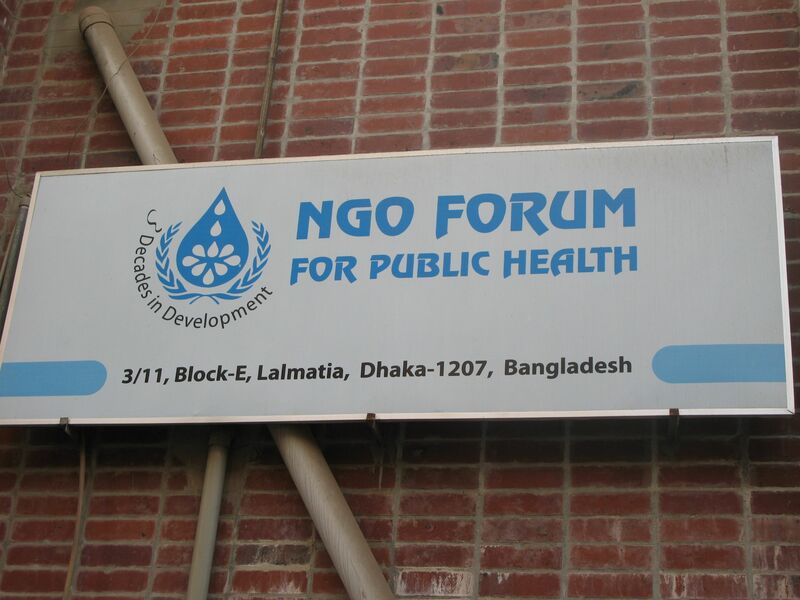 They identified a future partner – the NGO Forum for Public Health (NGOF) – and the program is now registered with the Rotary Australia World Community Service (RAWCS). 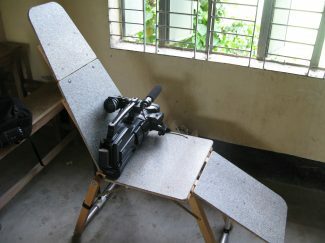 The Rotary Club of Dhaka is the third major partner. 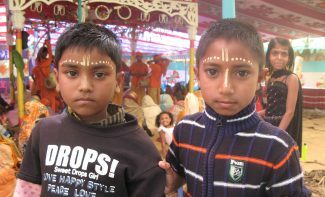 Known as the AusBangla Care for Dental Program (ABCD), it relies on donations and support from individuals and groups. 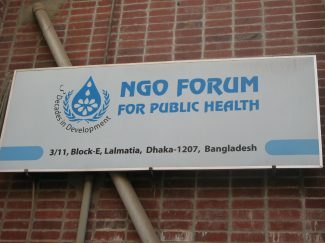 Interestingly the NGOF has a strong focus on sanitation programs, so the marriage of teeth and toilets continues! The ABCD program will work in locations where the NGOF has already established projects, so we can build on their network and enhance the services provided. Dr Nahid and TT travelled again to Bangladesh in August 2014 to set up the ABCD program with the local partners by organising dental camps both in the capital city of Dhaka, and rurally. 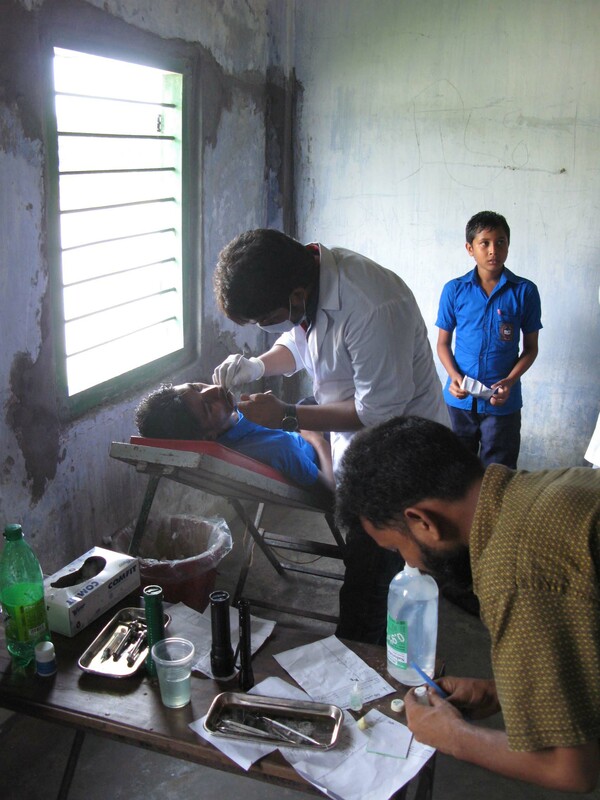 A total of 677 people were treated in 3 days by the team of local dentists, led by Dr Sunny Dastagir a dental public health professor, community volunteers and the 2 Drs from Australia. 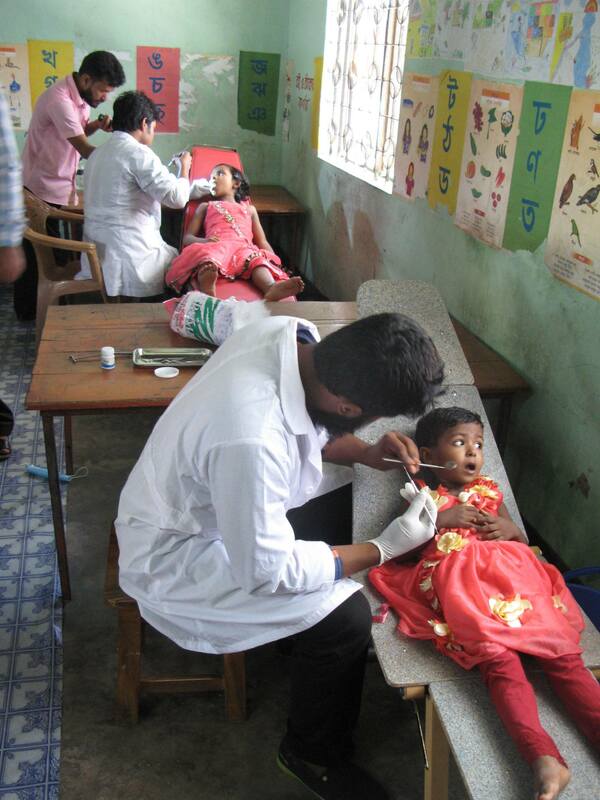 One dental camp in the Surovi school in the urban slum area of Mirpur revealed high levels of dental decay particularly in the children. The dental conditions were much better in the children seen in the 2 rural dental camps at the schools of Baniajuri and Pancha Kanda in Manikgonj. 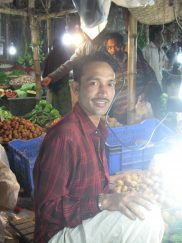 Here the diets are simpler and with fresher foods and less store bought sweet foods and drinks. 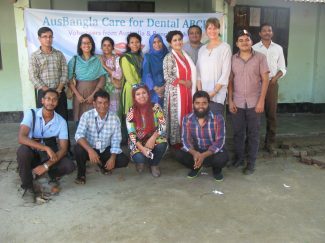 The ABCD program will employ local dental staff to run monthly dental camps in the Mirpur slum areas and schools, and use the extra dental workforce provided by international volunteer dental teams to provide outreach dental care in rural villages. We will work with the schools in Mirpur to run daily school based toothbrushing programs. 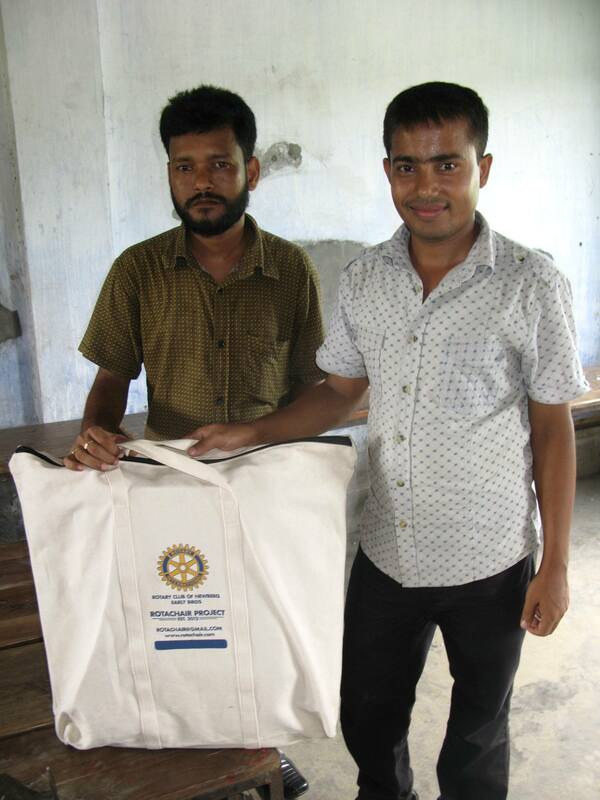 The Rotary Club of Dhaka was very supportive of this program and our thanks to them and all the local partners, we look forward to building this program from these small beginnings. Read the Report on ABCD visit august 2014. 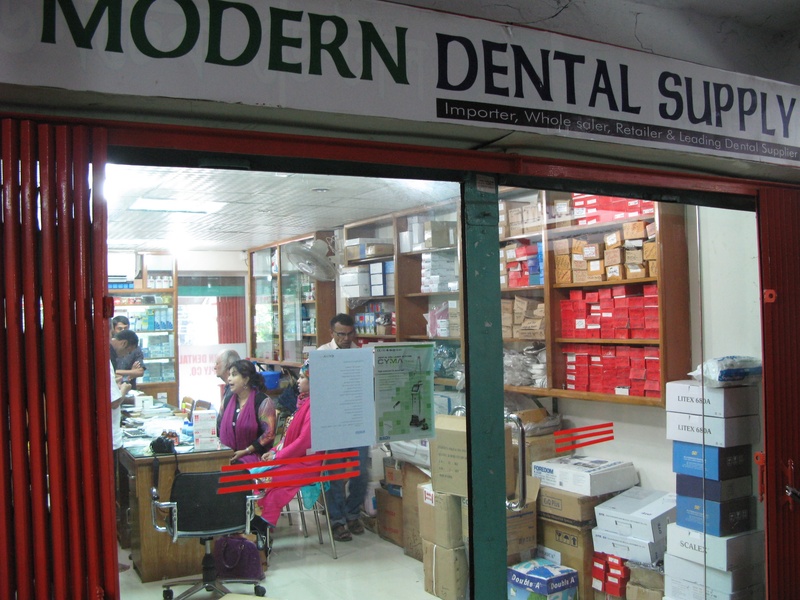 The dental program was approved on 23 July 2015 by the NGO Affairs Bureau in Bangladesh, after submitting a few bits of paperwork on behalf of RAWCS and the NGOF. 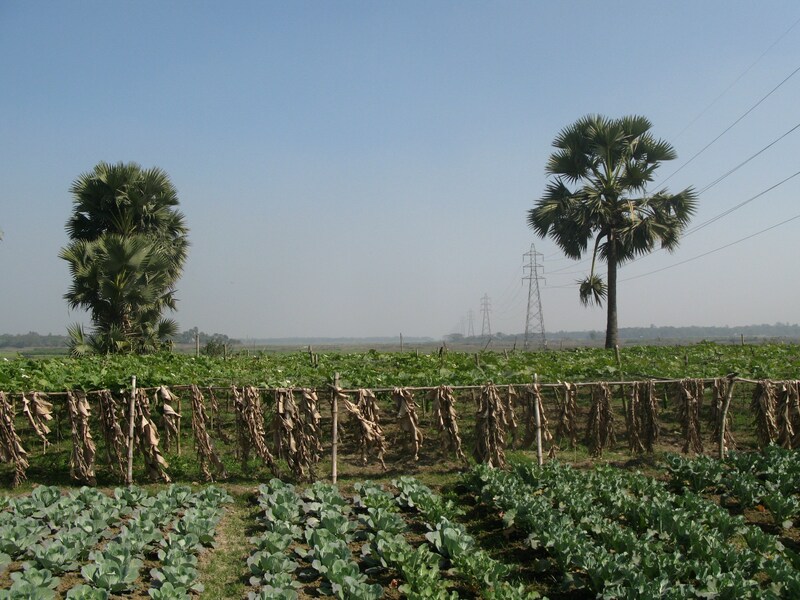 We have approval for 12 months of operations from 1 August 2015. 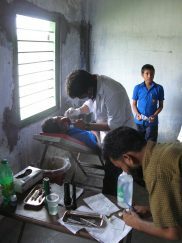 This gives us time to evaluate how well we’ve planned and budgetted for the monthly dental camps and rural visits. A small team from Australia arrivd in Bangladesh on 6 September 2015 – Dr Hans Raets, Dr Yvonne Huijser van Reenen, Dr Nahid Sayma and TT. 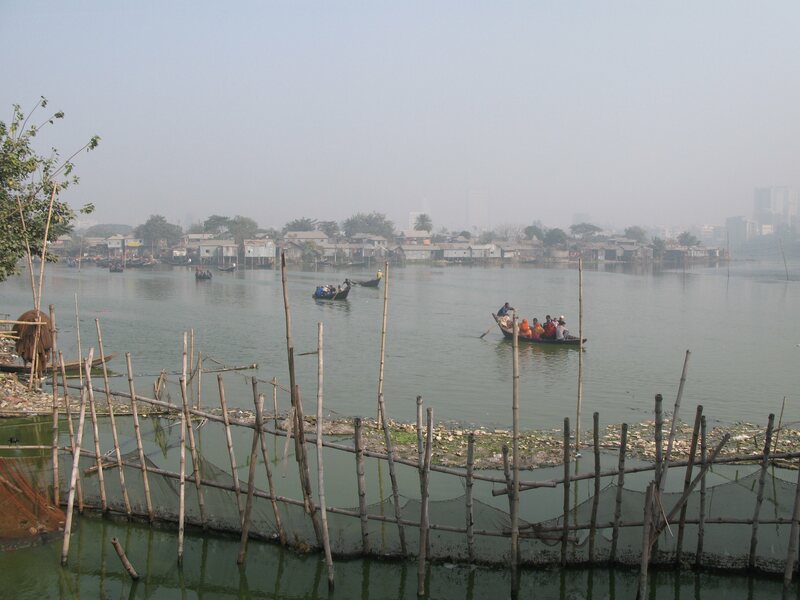 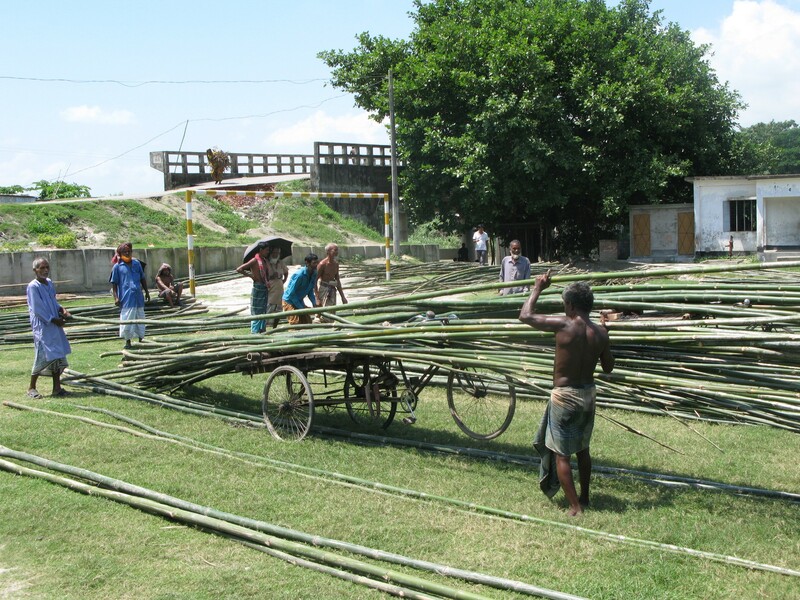 We worked first in the Mirpur slum project and then visited rural communities in Brahmanbaria and Moulavibazar. 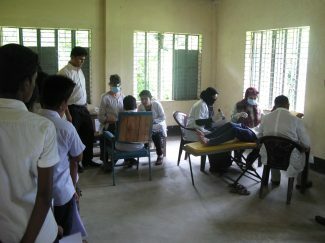 Again we worked with Dr Sunny and her team of young dentists. We applied the Atraumatic Restorative Treatment approach used by Sunny’s teams, ie using hand instruments only, and introduced some drills and mixers, depending on electricity supplies. Silver Fluoride was also introduced into the treatments, being an effective chemical means of arresting soft dental decay (stopping the decay and making it hard). 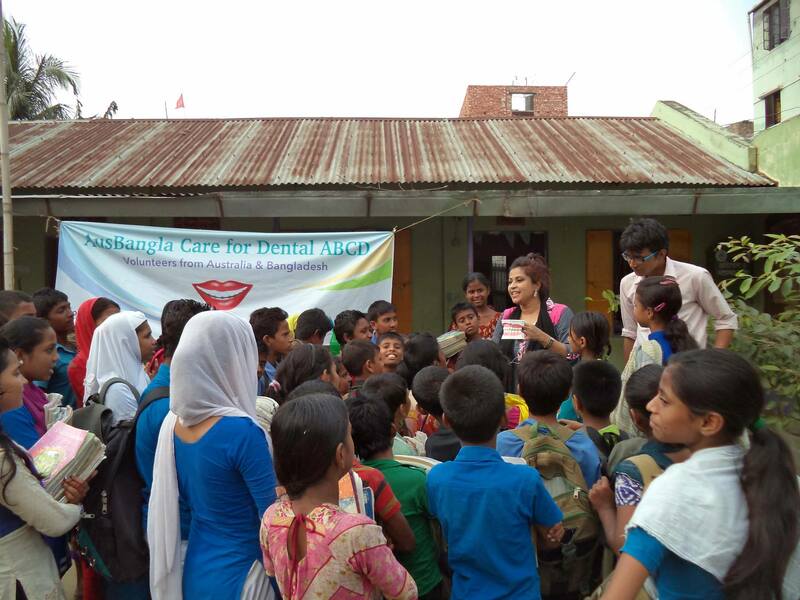 Monthly dental camps are now being run in the Dhaka slum areas of Mirpur, under the guidance of Rizwan from NGO Forum, Dr Sunny and her colleague Dr KC Debnath. 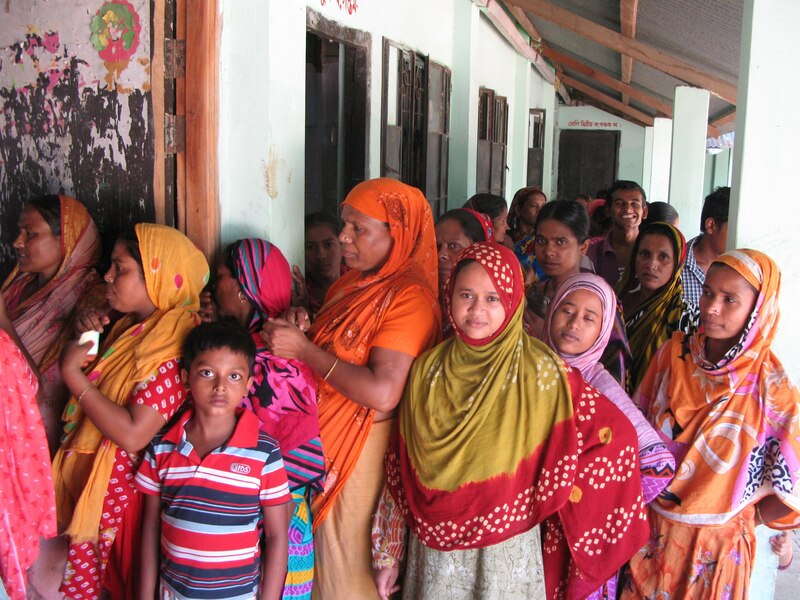 As of November 2015 more than 1400 people have been treated in the program. 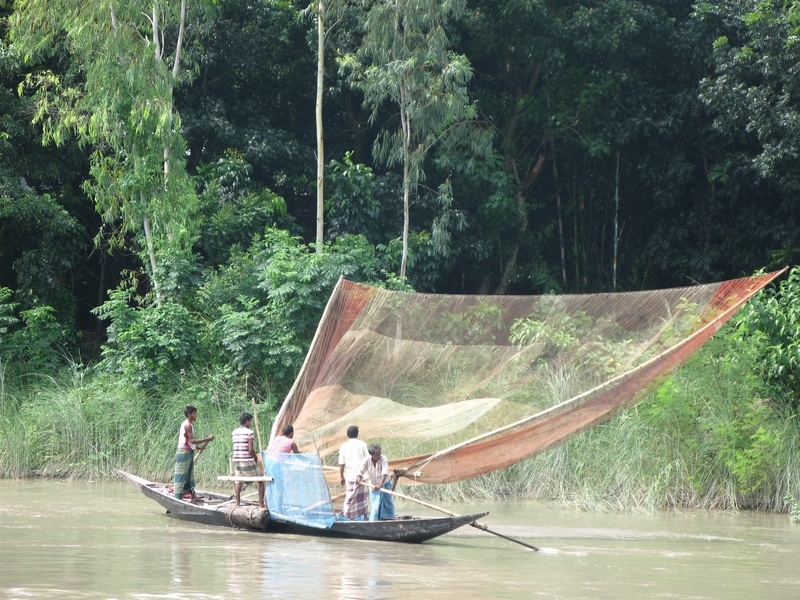 News and a September report can be accessed.